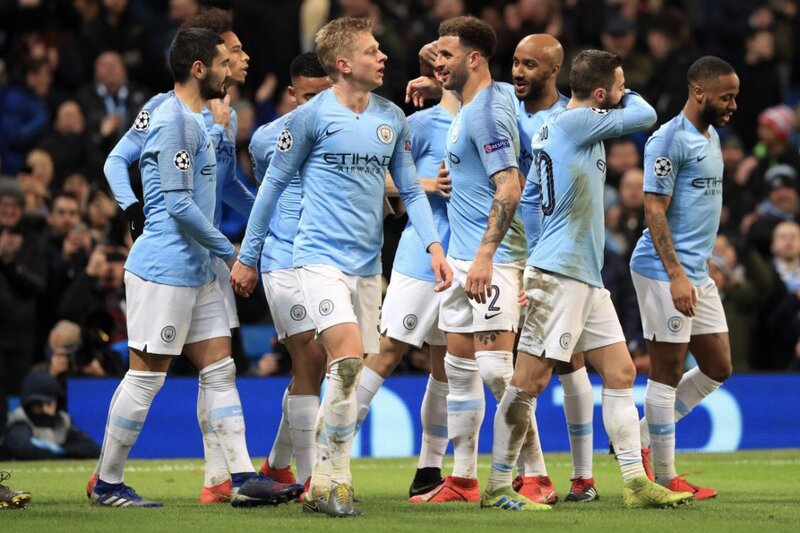 Manchester City thrashed Schalke in the second leg of their Champions League last-16 tie to confirm their passage to the quarter-finals. Sergio Aguero opened the scoring from the spot and added a second three minutes later when Raheem Sterling’s backheel set him up from six yards. Sterling, Bernardo Silva, Phil Foden and Gabriel Jesus all found the back of the net. After slotting into the far corner in the first half, Sane set up Sterling with a wonderful curling cross that the England forward smashed into the top corner. Silva pounced on Sane’s cut-back to make it 5-0 before substitute Foden rounded the goalkeeper after he was played in by the German winger. Jesus made sure he had a slice of the pie with a late curling strike. City, who came from behind in the first leg in Germany to win 3-2, were knocked out in the quarter-finals of last year’s competition by Liverpool and have never won the Champions League.